Siemens has received a contract from Pampa Energía SA to convert a simple cycle gas fired power plant at the Genelba site in Marcos Paz, Buenos Aires Province, Argentina, to combined cycle, working with its Argentine partner Techint. 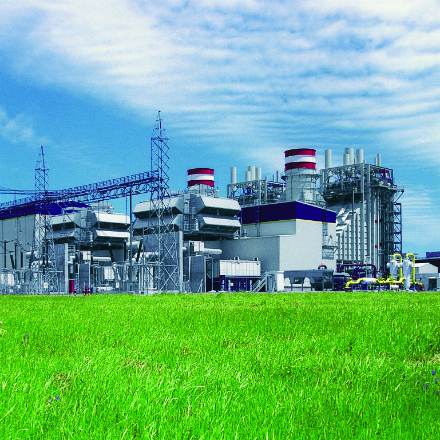 The project, known as Genelba Plus, will increase the plant’s generating capacity from 168 MWe to around 364 MWe. Commissioning of the new combined cycle plant is scheduled for mid-2019. Genelba Plus will employ a multi-shaft configuration, in which two gas turbines and one steam turbine will each drive their own generator. The scope of the project for Siemens consists of one SGT5-2000E gas turbine, one SST- 5-5000 steam turbine, and two SGen-100A generators, in addition to two NEM heat recovery steam generators, an SPPA-T3000 distributed control system, and medium and high-voltage components. Siemens will also be in charge of the engineering and provide assistance with assembly and commissioning. A letter of intent for servicing the plant has been signed. Siemens’ partner Techint will be responsible for setting up the overall plant. In May 2017, Siemens also won a contract for servicing, maintenance and capacity upgrade at the existing Genelba combined cycle plant.